It’s pretty quiet here at 6:30 in the morning. The paper has arrived in my driveway and the sun is starting to filter through the clouds, but the street lights are lit and it’s still dark. 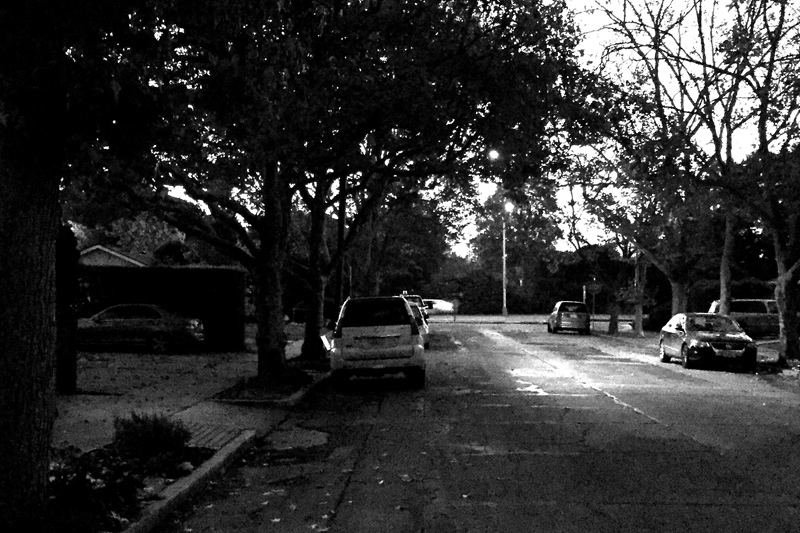 Looks like the setting for a 50’s b&w mystery: Palo Alto Noir. Same photo as above after editing. 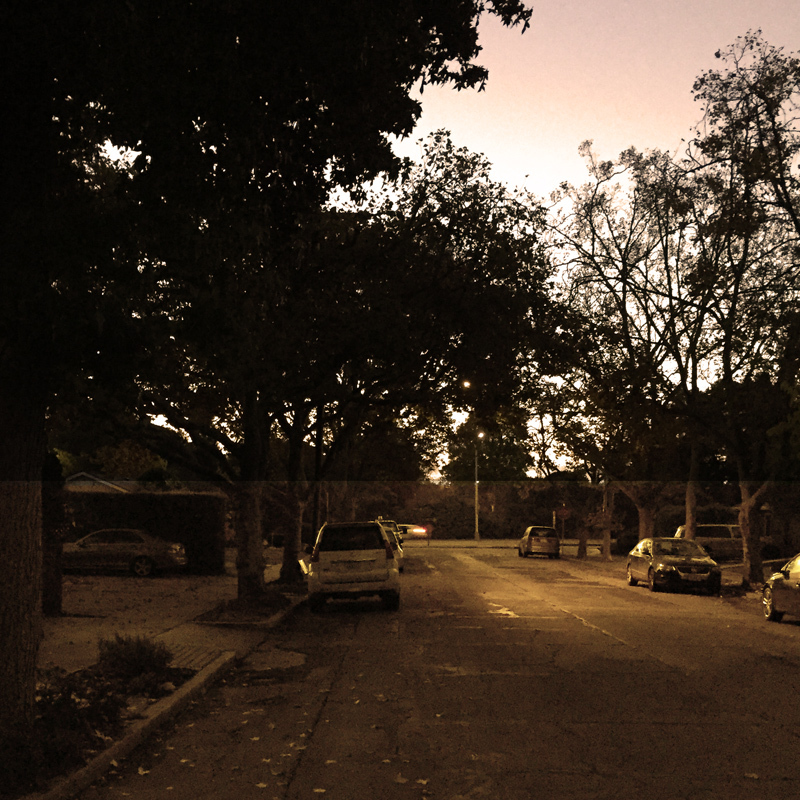 Well, I put an orange filter to the sky and raised the exposure on the street, except where the street light creates a bright pool of light. Maybe this is a movie set from the 70’s, who knows. This entry was posted in Wordpress and tagged blogging101, iPhone, photo101, Photography, wponthego by carto. Bookmark the permalink.